In his 16 minutes of action against the Hawks, the 27-year-old looked like just that, an elite wing defender whose length and instincts creates chaos for opponents. His night included interfering with a DeAndre’ Bembry breakaway dunk attempt, diving on the floor for a loose ball, contesting a few of Atlanta’s missed 3-point attempts and drawing an offensive foul on Kevin Huerter. MCW, who went 5-of-8 from the free throw line, also showed he’s willing to sacrifice his body and initiate contact when he accelerates to the basket. Coming into Sunday’s game, the Hawks were averaging a league-best 123.1 points and 15.9 made 3-pointers per game since the All-Star break. 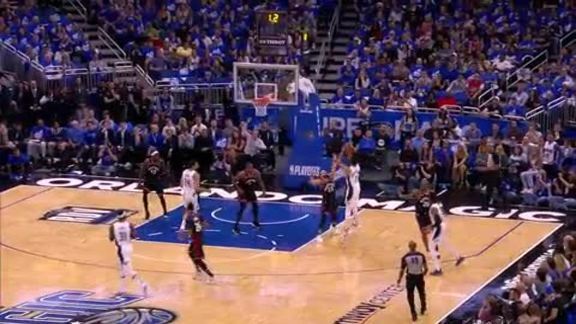 Another sign of just how locked in the Magic are defensively, Atlanta only mustered up 91 points while connecting on just eight of its 35 attempts from beyond the arc. John Collins, averaging 22.3 points since the All-Star break, was held to 10 points before fouling out late in the fourth. Trae Young missed all five of his 3-point attempts while Huerter, another one of Atlanta’s promising rookies, scored three points on 1-of-7 shooting from the field. Over their last 20 games, the Magic rank No. 1 in opponent field goal percentage (43.0 percent), No. 1 in opponent 3-point percentage (29.7 percent), No. 1 in opponent assists (22.0), No. 1 in opponent second chance points (9.9), No. 1 in opponent fast break points (10.6), No. 2 in opponent free throw attempts (19.3), No. 2 in opponent points off turnovers (12.4) and No. 6 in opponent shooting within five feet of the basket (59.1 percent).